Explore the beautiful Setubal region during this private 3-hour tour to Serra da Arrábida. Take a locally made 4x4 vehicle off the beaten track and drive to the Monastery of Arrábida, along the beautiful coast, and through the rolling countryside. 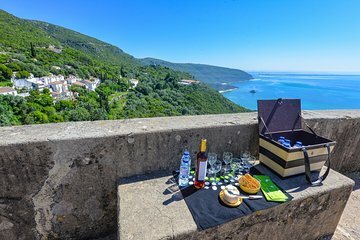 Enjoy a wine tasting amongst the nature and stop by the beautiful Palmela Castle before you make your own way back to Lisbon.